New York, NY. 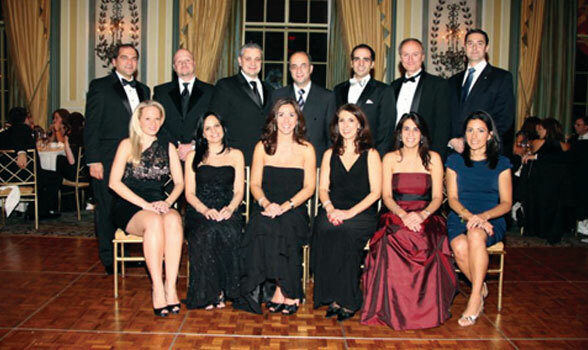 – The Hellenic Lawyers Association (HLA) celebrated its twenty- second Annual Dinner Gala on Friday, November 12, 2010 at The Pierre in New York City. Over 250 guests gathered to celebrate the momentous occasion, to honor their Hellenic roots and to pay homage to prominent Greek-Americans in the legal profession. Special guests included former U.S. Senator Paul Sarbanes, the Consul Generals of Greece and Cyprus, Aghi Balta and Koula Sofianou, respectively, NY State Senator-elect Michael Gianaris and his newly elected successor in the NY State Assembly, Aravella Simotas, as well as the Honorable Nicholas Tsoucalas, Senior Judge of the U.S. Court of International Trade, who is also one of the founding members of the HLA. HLA Officers and Board Members. Front Row (left-right) Christina Tsesmelis, Kate Christoforatos, Mamie Stathatos-Fulgieri, Maria Hartofilis, Chrisanthy Zapantis-Melis, Panayiota Kilaras Bougiamas Back Row (left-right) Michael J. Hartofilis, Michael Tiliakos, Peter Metis, Chris Kulakis, George Zapantis, John Saketos, Nik Mathews. Among the guests were members of the federal and state judiciary, prominent attorneys from the New York metropolitan area, and representatives of several noteworthy Greek-American professional organizations. Nine law students received over $11,000 in scholarships – the most ever given by the HLA. The HLA’s president, Mamie Stathatos-Fulgieri proudly noted how the organization continued to expand its membership and services, including continuing legal education classes, seminars, and networking opportunities. Stathatos-Fulgieri highlighted the several inaugural achievements by the HLA this past year, including the HLA’s participation in the Greek Independence Day Parade on Fifth Avenue, the Mentor Program, the newly formed Advisory Board and a platform to create a Political Action Committee to promote and provide for contributions toward the HLA’s members who aspire to a position on the bench or public service. “These achievements are only the beginning in our continuing efforts to establish a solid foundation for the next generation of Greek-American lawyers,” said Stathatos-Fulgieri. The 2010 HLA honorees included Congressman John Sarbanes from the Third Congressional District in Maryland and George Stamboulidis, Esq., managing partner of Baker Hostetler’s New York office, as Attorney of the Year. George Stamboulidis, Esq. was praised as the “prototype Attorney of the Year” that evening. His illustrious legal career includes 13 years as an Assistant United States Attorney during which he successfully prosecuted high-profile cases including one against mafia boss, Vincent “the Chin” Gigante, and more recently at Baker Hostetler where Stamboulidis focuses on white collar defense and corporate investigations and serving as managing partner at the New York office. Stamboulidis expressed his gratitude and pride in being a Greek American and was proud to be a part of the HLA. Stamboulidis currently serves on the Advisory Board and has been an avid supporter of the HLA for several years. 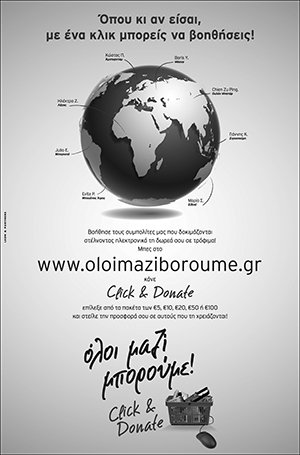 The Hellenic Lawyers Association is the premier organization of legal professionals of Greek descent. The organization promotes professional excellence, cultural awareness, community service and civic involvement. More information is available at: www.helleniclawyersassociation.org.